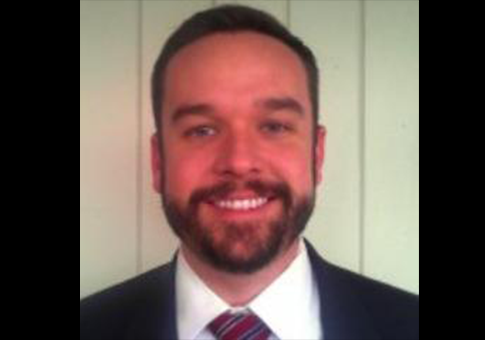 Back in December the Obama administration had a “party” for it’s favorite Kentucky Democrats amongst the guest was Shawn Reilly the leader of the group responsible for (and a possible participant in) the bugging of Mitch McConnell’s campaign office. Buzzfeed published a report which when tied to other items in this Mother Jones saga piece draws a picture of a Democratic party very involved in using dirty tricks to take down the Senate Minority Leader. White House logs and the twitter feed of Shawn Reilly, one of two men at the heart of the McConnell wiretapping scandal, show he met with White House officials on December 5, just days before his organization Progress Kentucky began a messaging blitzkrieg against the Republican leader. For days, Democrats in the state and nationally have sought to cast the duo as a pair of bungling amateurs who simply got in over their heads and made a series of bad decisions. But the White House visit suggests the distance from Reilly to his party’s leaders may not have been quite that far. The McCullough named above is a designated “waver” in Jarrett’s office: because of security restrictions, only certain members of each office have the authority to “wave in” visitors to the White House. McCullough does not appear to have been directly involved in the meeting, and she waved in all of the attendees. Buzzfeed also dug up Reilly’s twitter feed and found that his trip to Washington included stops at the White House to discuss the fiscal cliff and a meeting at George Soros’ Center for American Progress. On December 13, eight days after Reilly’s meeting with the White House, Progress Kentucky tweeted: “The single most important thing we want to achieve: Electing a new US Senator to represent Kentucky,” which started a daily barrage of often more than a dozen tweets and retweets directly aimed at McConnell. The evidence above shows Reilly is very involved with the Democratic party as he was part of the Kentucky White House contingent. Not many people get invited to meetings with the administration, but it also ties into other information tied to the case. The day after it was discovered the transcript in Mother Jones was faked to make it look as though McConnell staffers were working on his campaign while on the public payroll, the Soros-funded Citizens for Responsibility and Ethics in Washington (CREW) filed an ethics complaint with the FBI – and the Senate Select Committee on Ethics – against Sen. McConnell for allegedly “misusing official staff” for his campaign. It didn’t matter that the transcript was already discredited. Could it be that the charge had something to do with Reilly’s contacts with George Soros’ Center for American Progress. Putting it all together–we know that Sean Reilly took an early December trip to Beltway where he participated in a White House meeting for key Kentucky Democrats. Reilly also met with an important George Soros-funded organization Center For American Progress. It’s also a fact that almost immediately after Reilly came back from DC the organization he founded Progress Kentucky, ramped up its attacks on McConnell, including a racist commercial about the Senator’s wife. Oh did I mention that according to Open Secrets.org, Progress Kentucky had $986 dollars in the bank going into January 2013? I have been in advertising for over 30 years and can report that $986 is not nearly enough money to make a commercial. There’s gotta be a sugar daddy involved in the process somewhere. 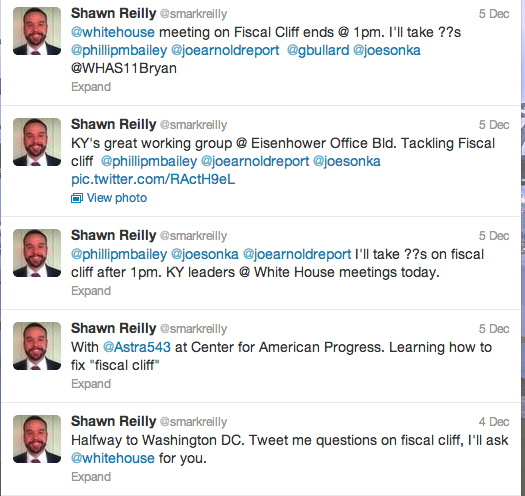 On top of all that we have a leader of the anti-Mitch McConnell movement Shawn Reilly, possibly involved in illegally taping a meeting of the Mitch McConnell reelection meeting (at the very least Reilly admitted he was there). We know the man who published the tape admits to having some sort of discussion with someone from the Kentucky Democratic Party before its release (per his discussion with NPR). It is also a fact that Mother Jones edited the transcript of the tape and the George Soros funded CREW used that fake transcript to file a complaint against Mitch McConnell. On one hand there is no guarantee that this is all connected, but on the other I am not a huge believer in coincidences …are you?